A monument called Hope for Peace was unveiled in Hvalfjordur (Iceland) on November 1 to commemorate sailors of the Arctic convoys of World War II, TASS reported. The Hope for Peace memorial created by Russian sculptor Vladimir Surovtsev is the author's replica of a similar monument that was unveiled at Reykjavik's central Fossvogur cemetery in May 2005 on the occasion of 60th anniversary of the Soviet Union's Victory in the Great Patriotic War. "The monument depicts a young woman holding a head scarf in her hand, who is seeing off her brother, husband, or friend, on a long and risky voyage hoping for his lucky return," TASS quoted the sculptor as saying. The statue is surrounded by two semi-circular granite slabs, inscribed on which in Russian, Icelandic and English are the names of the Soviet, Icelandic, British, American, Norwegian and other vessels and ships that sank while escorting Arctic convoys. "We know that the convoys were of vital significance for military operations on the eastern front. Apart from being strategically important, they also had great symbolic meaning. 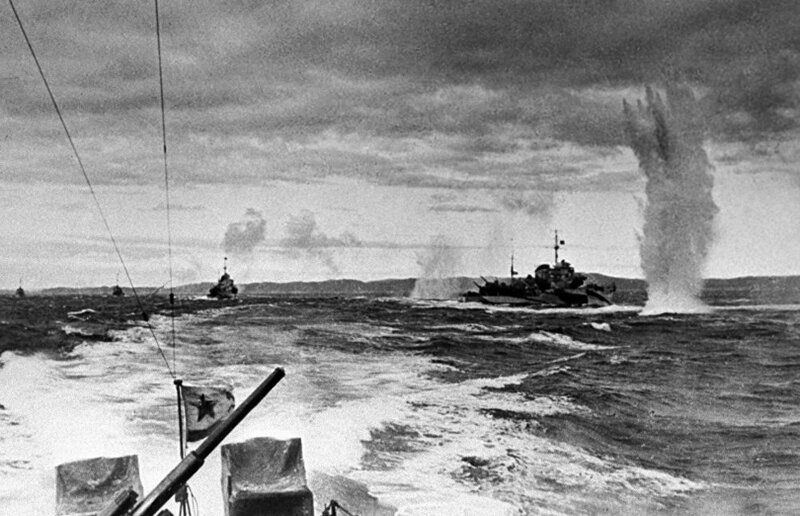 The Arctic convoys symbolized the unity of the allies, who delivered strategically important cargo from the West to the East, defying mortal dangers that lay in wait along the route. Iceland did not and does not have its own army, but our country also contributed to fitting out the convoys that were formed in Hvalfjördur north of Reykjavik," President of Iceland Gudni Johannesson told TASS. Attending the unveiling ceremony along with Iceland's head of state and Foreign Minister Gudlaugur Thor Thordarson were Governor of Russia's Arkhangelsk Region Igor Orlov, Russian Ambassador to Iceland Anton Vasilyev, as well as diplomats, clergy, local politicians and public figures.